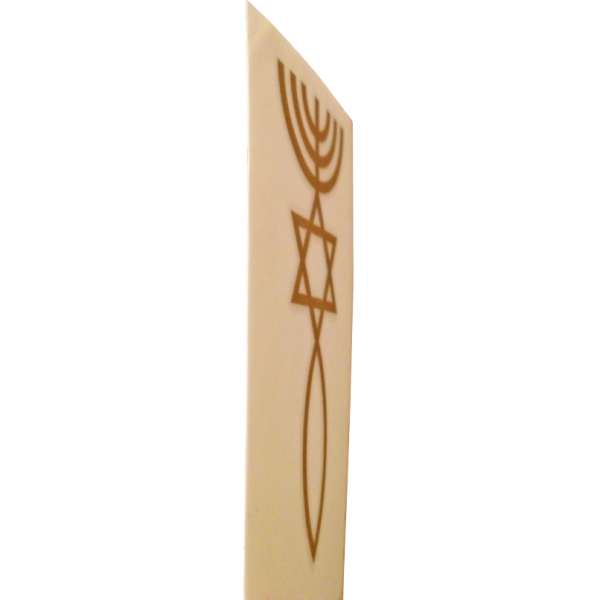 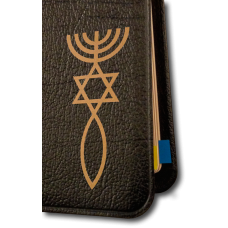 This ancient Messianic symbol combines the menorah, Star of David, and the Christian fish. 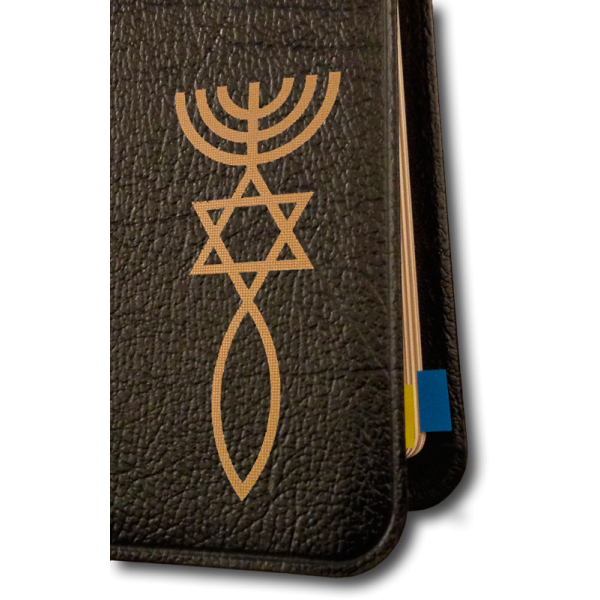 Whether you put our unique golden decal on your Bible, car window, doorpost or purse, you can be sure to stir curiosities and witnessing opportunities with this tribute to light, God and abundant love. 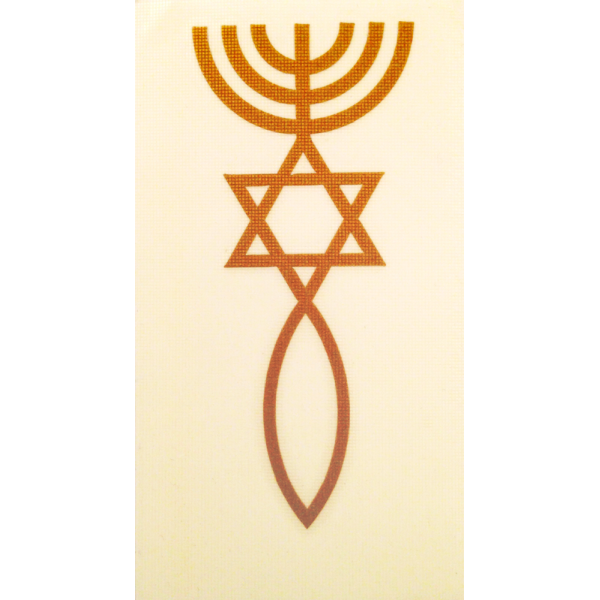 The delicate, hand-cut stencil measures 1.2″ x 3″.